This is the second attempt. In April during the first flight after 9minutes communication with the vehicle was lost but nevertheless it was a success on many levels. Critical data was gathered by more than 20 land, air, sea and space assets, GPS signal and communication was established during that short flight and the RCS system was also validated. The program has three key technical challenges, aerodynamics, aerothermal effects and control. Aerodynamic behavior in such extreme airspeed is still impossible to simulate accurately. Wind tunnels can operate for relatively long periods of time only up to 15 mach. Above that there are only special wind tunnels (impulse tunnels) that provide just milliseconds worth of data. Real experiments are necessary in order to evaluate and validate the theoretical assumptions of mach 20 physics. The extreme aerodynamic pressure creates vast amounts of heat. The surface temperature of HTV2 is expected to reach almost 2000C, much hotter than the melting point of steel. Advanced carbon composite materials with very high melting point and very low thermal conductivity are used for the outer surface in order to keep the internal of the vehicle almost at room temperature in these conditions. With a speed of 21.000km/h the control system must have instantaneous reactions because the slightest deviation can have major effects. 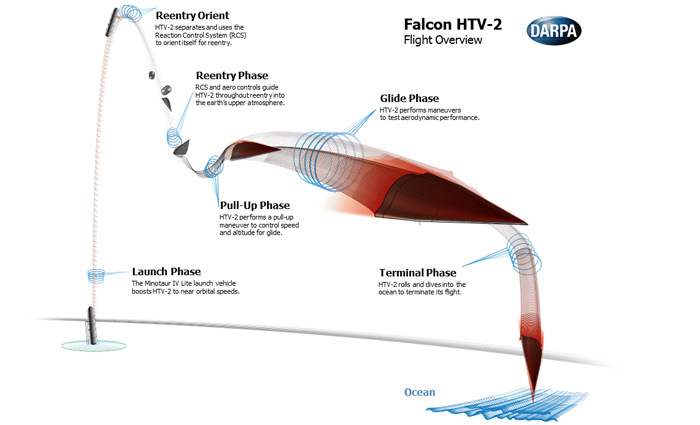 The HTV2 use a mix of aerodynamic movable surfaces and also a reaction control system. 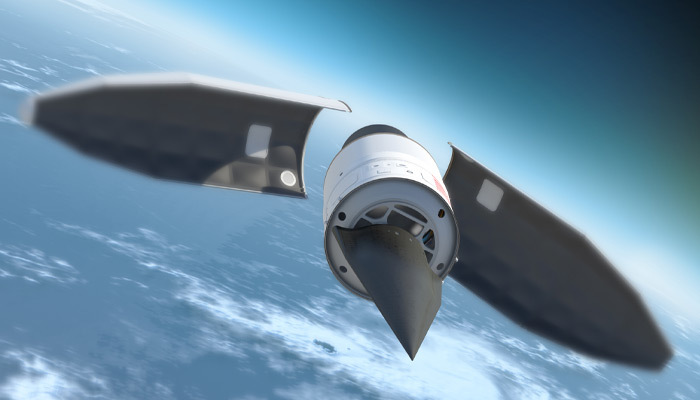 Hypersonic data collected through extensive modeling and simulation, wind-tunnel testing and these two experimental flight tests will form a knowledge base that will be used in future programs. The ultimate goal as stated by DARPA is a capability that can reach anywhere in the world in less than an hour.